I was a little perplexed as to what constitutes authentic Mexican Hot Chocolate. 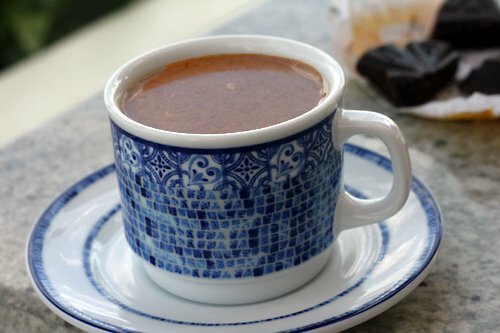 Thankfully a reader from Mexico explained to me that unlike other hot chocolate “drinks” in the Mexican repertoire, it traditionally was a mixture of cocoa beans and sweetener. Yet nowadays folks generally use sweet chocolate bars as a base, which are made from coarsely ground chocolate with a dose of cinnamon and sugar, and sometimes almonds, and are conveniently sold in tablets or bars in Mexican shops. That chocolate bears a passing resemblance to the coarse chocolate that Mexicans have been grinding up in metates for thousands of years (which I think is why Mexican women have those power shoulders), and today you can find Mexican chocolate quite a bit slicker than the stuff that was (and still is, in some places) pounded for hours and hours. Although I’m not Mexican in any way, I have a deep love of anything edible, and drinkable, that’s Mexican—from horchata, to the twirly green bottle of citrusy Squirt soda that are fun to swill on a Mexican beach, along with a basket of chips and some spicy roasted chili salsa. Or guacamole. Or duck tacos. Or ceviche. Or all of them. The chocolate used nowadays for hot chocolate is classified in America as “Sweet Chocolate”, which is different than what we label as bittersweet or semisweet chocolate. Sweet chocolate only has to have 15% cacao solids whereas the other chocolates have over twice as much. The primary ingredient is sugar followed by chocolate and cinnamon or other flavorings. In spite of the added sugar, it’s what people use as a base for a chocolate-flavored atole and Mexican hot chocolate. Although I got a lesson in making champurrado (hot chocolate atole made with cornstarch or masa) on a recent trip to Mexico, a kind young hombre gifted me a lovely tablet of La Frontera Mexican chocolate after I returned north of the border, to Houston. And when I got home and decided to make myself a cup of Mexican hot chocolate, I was amused to find the recipe on the back of the package called for 8 cups (2l) of milk for the 7 ounce (200g) bar, which is a tad less than an ounce of chocolate (and sweet chocolate, at that…) per cup. I have to admit that I like my hot chocolate a little stronger than that, and less sweet. But there’s something endearing about that crumbly Mexican chocolate that crinkles with sugar when you snap pieces off. So I upped the proportion of Mexican chocolate and added some unsweetened cocoa powder, which brought up the chocolate flavor and richness to where I like it. So perhaps I should call is Mexican-American hot chocolate, as it combines the best of both worlds in one steamy cup. Note that I made this with Mexican drinking (sweet) chocolate. If you’re looking for a recipe made with semisweet or bittersweet chocolate, check out my Parisian and Belgian hot chocolate recipes. Some folks think that Mexican hot chocolate has chile powder in it, but from what I’ve read, I’m not entirely sure. So I left it out. But if you want to spice it up, add up to 1/4 teaspoon chile powder to each cup (250ml) of milk when heating it up, or add it to taste at the end. You could also infuse a stick of cinnamon in the milk to give the hot chocolate a more pronounced cinnamon flavor. A dash of Kahlúa might be nice on a cold winter night, too. 1. In a medium saucepan, heat the milk with the cocoa powder and salt, whisking constantly until it comes to a full boil. 2. Remove from heat and add the chocolate, whisking gently until it’s completely melted. 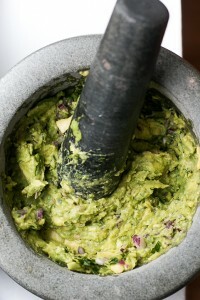 If desired, blend the mixture with an immersion blender, a whisk, or molinillo until smooth. 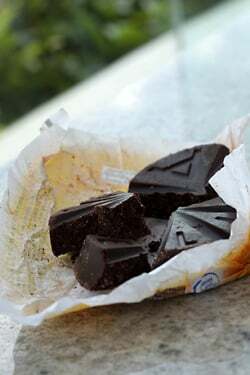 Notes: I used La Frontera chocolate, although Ibarra is another frequently used Mexican-style chocolate. Taza, an American bean-to-bar chocolate maker, has a line of stone-ground Mexican chocolates as well. I made this with whole milk but I’m certain a nut or soy milk would work fine. I have not made it with lowfat milk but have seen recipes that use milk and water, so it would likely work. If you do experiment, or have your own versions, please feel free to share the results in the comments. Interesting David, here in southern Spain, the supermarkets sell loads of different brands of this chocolate for drinking but I’m not fond of drinking chocolate, prefer it in more solid form! As for Horchata, if I referred to it as Mexican around here, I’d probably be thrown out. Apparently, Horchata here is usually tiger nut based, while in the States it is rare for that to be the case, it is usually rice based. 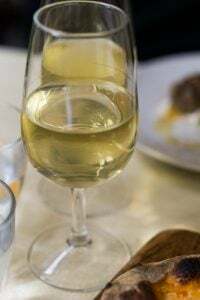 There is however a cocktail which you may have come across, sometimes found in bars in southern California – a Rice Rocket, which has Horchata as a base. Think it is 2 parts Horchata, 1 part Coconut flavoured Rum and a dash of Goldschläger (a Swiss cinnamon Schnapps. It is served ice cold. The horchata in Span is made with chufa, or what you call the tiger nut. Am not sure how it made the transition to a rice-based drink in Mexico (perhaps because chufa aren’t available in Mexico, or for economical reasons? ), but I like both versions. I vote for the Spanish version. I had one of those perfect moments at a horchateria in Valencia, Spain. A hot day, a little blue-and-white tiled shop, and a tall glass of cool, nutty horchata. Heaven! I don’t know how you live without Mexican food for so long! This chocolate looks delicious! Next time you’re in San Francisco come see me at Tres Agaves. I’ll hook you up with some of the best carnitas(uber crispy), duck tacos, and 100% agave margaritas north of the border! Oh I am loving that cup so much. The hot chocolate in it wouldn’t go amiss either! You have just made me have a pang of longing for Mexico, San Miguel de Allende( our usual winter hideaway)Mexican chocolate, all things Mexican. I am imagining myself sitting in the sun with some chocolate and a nice slice of tres leches cake. Mui delicioso! hm, sounds too sweet for my taste. I recently had the Taza with Guajillo chili and it was excellent. I remember growing up my Spanish teachers would always make Mexican hot chocolate from scratch and we would sing songs about it…totally song-worthy! I always love Mexican hot chocolate, it was one of the good things about going over to my Mexican friends’ houses growing up in Arizona, since the moms would always whip up hot chocolate for guests. I’m glad that our growing food culture in the US makes Mexican Chocolate more accessible now — I can now buy Ibarra and Abuelita in most any grocery store around here. That wasn’t always the case, when I moved to Minnesota in 1995, I had to seek out the grocery store in the Mexican neighborhood in St Paul to get my fix. If I only can get hold of Mexican chocolate I will try your recipe. During long winter months here in North Yorkshire hot chocolate seems to be a very good treat, but I have had enough of my old recipes. I am a keen cook, not long time ago I started to discover some tricks and my question is about the salt. Does it enhance the flavour of the chocolate without making it salty? I don’t mind chocolate with sea salt or salty caramel I just wonder if it will be good for somebody who does not like this flavour combination. I’ve been tempted to make hot chocolate with Taza, but it’s so perfect on it’s own I can’t bear to melt it so I stick with Abuelita for drinking purposes. Dona Estela Silva, my cooking teacher at Mexican Home Cooking School, advised me to buy Abuelita after I came back from the market with Ibarra. I always opted for Ibarra because Abuelita is a Nestle product, and I assumed it would be of a lesser quality. Who knew? I always like to add a chili to my hot chocolate. Adds more depth and a little heat to it. Eva: Arbuelita is indeed made by Nestlé. Being a large corporation, I guess they would like to corner the chocolate world, even in Mexico. 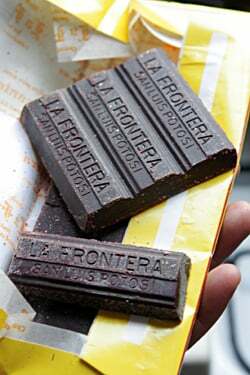 The La Frontera chocolate I used, as far as I can tell from the label, is an independent company. But I couldn’t find a website for them or much information on the internet. 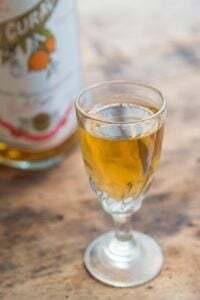 A friend of mine adds a shot of Tuaca to her mexican hot chocolate. Friends brought a block of this to dinner the other night, with which we made chocolate sauce: http://tinyurl.com/5tgsttw It was delicious! I too add cocoa powder to kick up the chocolate flavor when making Mexican hot chocolate. It is also delicious if you add a pinch each of cinnamon and cayenne. I’ve never added a pinch of salt before, but I will try that next time. The brand I used when I lived in Mexico had ground almonds in it; that’s the traditional formula and it’s what gave Mexican chocolate its characteristic thickness. I just checked their website and almonds are no longer in their list of ingredients. I guess a thinner product, more like Nestlé Quick, is more to the taste of the foreign market. I suppose they call that progress. Gina: I always thought it had almonds in it, but the La Frontera bar I have doesn’t have them, and I’m not sure if this bar is intended for export, but I couldn’t find them listed (or sold) anywhere on the internet. So I think that maybe because the price of almonds fluxuates wildly, they probably just stopped adding them, although that’s just a guess. Kirsten: Interestingly, although Tuaca has a Mexican sounding name, it’s actually made in Tuscany. I always thought it was Mexican too..until I read an article about it a few months back. a pinch of salt, a pinch of cinnamon and a pinch of cayenne. and i use fat free milk always…makes your belly warm and your cheeks glow. i have also been known to tip a little frangelico into the mix as well. This is like a new fad I’m seeing more and more recipes for this lately. It’s just so sweet! I always make Italian hot chocolate in an espresso cup, so anytime I have the Mexican stuff it’s like drinking pure sugar. maybe adding cocoa powder will help with that, though. 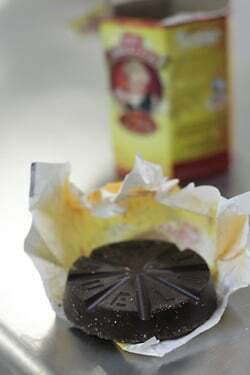 When I was a kid I would eat the bar of Abuelita chocolate by itself. So tough on the teeth, but yummy. I dunno why but my parents always made it with water. Guess they were too cheap to use milk. yum! I tried Mexican chocolate for the first time 3 years ago and fell in love! I made Mexican Hot-Chocolate Cookies on my blog yesterday. They are a play on snickerdoodles- chocolate of course- and the sugar-cinnamon mixture that the dough is rolled in contains a hint of chile. Absolutely delicious! In “Maida Heatter’s Great Book of Chocolate Desserts” she has a recipe for black pepper brownies that mentions that the Mexicans have been drinking black pepper in their hot chocolate for hundreds of years. I tried it and I highly recommend it. Oh yum!!! Now why did I think that Mexican hot chocolate would have chilli in it? Or am I think Aztec? Jeffrey Steingarten published a hot chocolate recipe adapted from Pierre Hermé in his book It Must Have Been Something I Ate. He thanks the Olmecs – of southern Mexico who, while building the first major civilization in the Americas more than 3,000 years ago, discovered a method for turning cocoa beans into chocolate. He notes that the Mayans and the Aztecs considered the froth the best part. 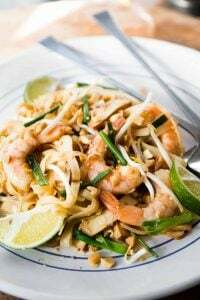 The recipe is fantastic…check it out if you have a chance! Gringo, where is your molinillo? Do they even have those in Paris? If you don’t have or cant get a Molinillo (traditional whisk used for hot chocolate) finish it in the blender to get the proper froth! Or I guess we could call it ‘chocolate air’ in modern restaurant parlance. We Mexicans usually do not drink the hot chocolate with chili, that is like a nuveau or fusion thing, but what I can recomend for the next time you make another cup is to put your immersion blender to use and blend it so it gets foamy that is the best part and how my father in law used to make it. Delicious, I bought a box of Oaxacan Chocolate Mayordomo before coming to Argentina and I forget it in Mexico bummer. Going back to your citrus post: the lemons that are eaten with their thick white skin in Sicily and other parts of Italy aren’t actually Sicilian but Sfusato Amalfitano lemons grown on the Amalfi coast and very different in taste and acidity from their Southern cousins. I wish I could get my hands on some in the UK, apparently they make great salads as they are so mild, very thinly sliced and seasoned with olive oil. ah, good old abuelita. this looks very, very good! I’m not a fan of cinnamon in my hot chocolate, so I’ve always shied away from Mexican hot chocolate, but your post makes me want to try it again. We also make champurrado in the Philippines, but we use gluttinous rice. We also use the Spanish cacao tablets for drinking chocolate and champurrado. A trip Oaxaca Mexico is not complete without a visit to Mayordomo to see traditional Mexcian drinking chocolate being made. They have huge bins of cocoa beans, cinnamon sticks and almonds ready for grinding. Local families come with their own recipes, adjusting the ingredients to their taste. All the ingredients and sugar are added to a big grinding machine that turns it into a paste. The grinding heats up all the ingredients making the most intoxicating chocolate smell I have every experienced. Nothing better than a frothy cup of Mexian drinking chocolate! I love Mexican hot chocolate. One of my students brought me mexican chocolate after we made American Hot Cocoa in class. Mexican hot chocolate is quite different and very good! The food on the west coast of Mexico is fresh, homey and tasty and makes me very happy and no way compares to anything concocted in California. The meats may not be fork tender, but they are incredibly flavorful. Deep fried corn tortillas, hot sauces and gummy beans are all I’ve ever had in California restaurants and I’m always dumbfounded at the local lip-smacking and eye rolling. Friends of Mexican heritage make wonderful foods, but I sure don’t know what happens commercially. Mexican chocolate – eh. It’s okay, but doesn’t compare to the Rogue chocolate bars ordered last week. Thanks for the tip, David. I think I’ll go sit under my orange tree now… ;-). Dave, another very informative post. When I first started working in China with a Mexican business partner many years ago, he had introduced me to Mexican hot chocolate… Remember how he had brought stashes of the round discs with him to China.. Interestingly, for most of us here in Singapore, we tend to associate chocolates with the Europeans. We grew up with Van Houten and there is always the association of the Swiss or the Dutch with chocolates… (valrhona will grimace) but really the Mexican estates produce some of the best cocoa and they should be able to rule…. 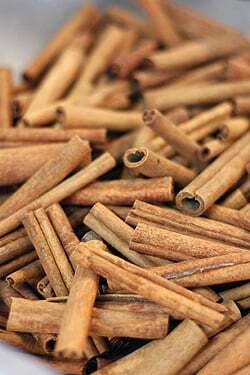 I would definitely use the cinnamon stick to convince myself it’s truly Mexican :) I am making your Belgian hot chocolate this weekend!! So excited!! Squirt isn’t Mexican, per se, but those twisted bottles seem to be unique to Mexico as I’ve not seen them anywhere else. Oops… I just opened and reviewed Taza’s Yerba Mate chocolate on my blog, but I, um, ate it all straight. And I think I was meant to make hot chocolate. Oops. I adore Mexican chocolate. I love the trip to the Mexican market to buy it even more. I wonder around the store shoving fresh flour tortillas (made with fresh lard, of course) in my mouth as I shop and placing the empty bag on the register to pay when I leave. Excellente! I hope you brought some Maseca home from your travels, also, to make champurrado — chocolate atole. So many recipes for (gringo) Mexican hot chocolate add a dollop of whipped cream on top. Mexicans never serve it with whipped cream. You stayed true to traditional hot chocolate south of the border. 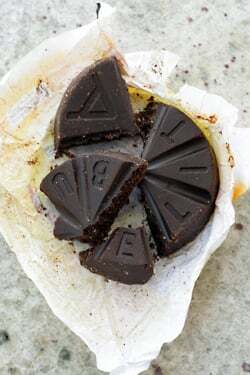 We must be on some sort of cross-continental mind share, because I wrote up a blog about a sample I got of the Abuelita hot chocolate disks a couple weeks ago. 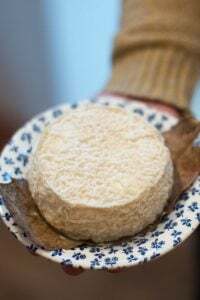 When I wrote it I hadn’t actually tried it, but a couple days later broke out a disk and melted it in on the stove in milk. I loved the cinnamon flavor, I think that’s what set it apart from me. And though I didn’t use the actual molinillo I received, it was still pretty good. Some years ago the local coffee shop chain Caribou sold what they first called “Mexican hot chocolate,” later renamed “Spicy chocolate,” a pleasant combination of cocoa, sugar and cinnamon. 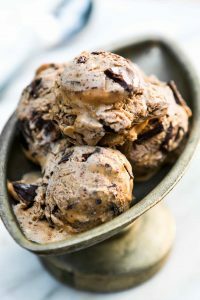 When they stopped selling it my dear husband decided to find a way to recreate it and came up with his own heavenly concoction which includes good cocoa, sugar, cinnamon, nutmeg, clove, vanilla, almond and chipotle powder. I prefer it made into a mocha. I’ve never run across La Frontera brand, but have been disappointed in Ibarra. Thanks for bringing this to folks’ attention! Anything you ever wanted to know about chocolate and its history – from the Mayans using the beans as currency to the Spaniards who adopted the drink and into the French and Belgian twists on processing and fashion – is all at the Museum of Chocolate on Bonne Nouvelle in the 10th/Paris. Went on a whim last Sunday, learned more about cacao, chocolate, its deep and vast history in Mexico, and got to watch and taste at the end. We even adopted (“parrainage”) three cacao trees in the rain forest. The indians did not use sweetener for a long time – the Spaniards seemed to add that. Nice column, makes me miss home (Calfornia – southern and northern). 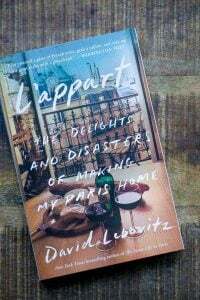 Speaking of hot chocolate, David, I made a version of your hot chocolate recipe (from “The Sweet Life in Paris”) for a chef buddy of mine and he raved about it. He even called me a few days later to specifically mention that it was the best hot chocolate he’d ever had. I know I am going to sound like a Philistine, but Abuelita actually makes a hot cocoa mix ala Swiss Miss that has changed my world. Don’t get me wrong…if I see Mexican Hot Chocolate on a menu, or if someone is kind enough to make it for me, I salivate faster than Pavlov’s dogs. But for pure easy convenience, I fess up to relying on those little powdered envelopes of happiness. I do not like Mexican chocolate at all. Too gritty. But I adore hot cocoa. What I do is really quite simple. Using an eating “teaspoon”, I measure out two slightly heaping spoons of Dutch-process cocoa and four spoons of sugar. As the milk begins to get hot, I add a little to the mixture in the big mug and make a paste or a starter, then fill the mug when the milk starts to bubble at the pan sides. Stir and enjoy! It is dark and rich and tastes like… more. I love chocolates and I would love to try this Mexican Hot Chocolate…Just found your blog and love it! I have always wanted to try new taste. This is definitely something I’m going to have to add to my to-do list in the kitchen. I have an obscene number of Mexican chocolate bars laying around my apartment–they’re non-brand and made in a small village near Oaxaca, and quite delicious! I’ve tried making it several ways, including with only water, water + milk, and only milk. I don’t enjoy the water only method because it really is too, well, watery. As for water + milk, I feel you get the best results if you really whip it to melt the cocoa and sugar evenly. I’ve never tried adding cocoa powder but will do that next time, thanks! We make batches of Mexican hot chocolate in the winter, but add canela (cinnamon). Can’t have enough canela! We refrigerate and warm as needed. It’s a must in our home in Colorado! So thrilled that you are venturing into Mexican food!!! I just recently posted a Mexican Chocolate Fondue recipe on my site made with Abuelita chocolate and it was fantastic! Thanks for enlightening all of us with your amazing posts, recipes, and gorgeous photography. Hey David! I just posted about my trip to Mexico and provided a link to a place Europeans can order Mexican food. It’s http://mexgrocer.co.uk/, for future reference. I love love love Mexican food. And now, I’m off to find some horchata. Preferably with some rum and cinnamon schnapps. Beautiful China! Did you find that in Paris?? As for your 2/11 post… I love the typos. I love your blog. It is the only one I read in fact. :) Thanks for all the fabulous recipes, anecdotes and musings on life and food. I feel that food makes you feel just about the way it makes me feel. and we put evap milk on top on it. Definitely try the Taza! I adore the Taza Cinnamon. I’ve been tempted to use it for hot chocolate, but it never makes it that long/far! Any tips on how make it a little bit thicker? It seems that Spanish hot chocolate is thicker because it has an egg yolk added. That cup of chocolate looks divine. My mother sometimes made this type of chocolate for us when we were little. In San Miguel de Allende you can find locally-made artisan type Mexican chocolate for your hot chocolate. 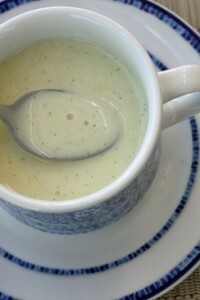 To thicken it you can always add a little whipping cream to your milk. There’s a quiz show on cacao’s origins, a visit to a farm in Mexico, and some companies (including one that uses Mexican techniques) who are trying to make the world a better place – through my favorite dessert. David, interestingly, I only just found you after my friend Patty and I won the Ritter Library Chocolate contest with our Golden Mexican Chocolate. Ours was a witch’s brew of many pots of reducing boiling water with peppers,sticks of cinnamon smidgeons of dried chilies, Ibarra chocolate, 80% cocoa, all mixed back and forth together with milk. As a swallow passes over the back of your tongue it nearly threatens to be too spicy but instead fills your body with a delightful, rich warmth. All lusty with my chocolate victory, I wanted to explore moles and found your site. Saturday I made a caldron of your mole for a Valentines’ dinner of your carnitas on Sunday for my family. I am most fortunate to have a little hole in the wall Mexican market and cafe near with a great array of fresh and dried ingredients. I enjoy slobbering over your musings and recipes. Your blue chesse biscuits next, maybe with duck. I’ve been wanting to undertake a duck with that lovely fat. Excellent! We love our ‘Mexican’ hot chocolate down here in Phoenix. It’s sold at a lot of the little independent eateries around here. When I make it I add some Mexican chili pwdr and cinnamon w whole milk. Spicy and sweet is how we like it! Lots of good feedback from your readers. My dishwashing gig recently ended, a short term thing since their regular guy came back. I was not as fast as the regular guy anyway–but it is an unbelievable flow of dishes!! I will never take a restaurant meal, or a hardworking dishwasher for granted again (not that I do anyway)! I got to do a bit of prep too. And mopping, woo hoo! Hi David! Just finished reading a beautiful novel about Mexican food with a whole chapter about traditional hot chocolate making. And here comes this great post straight to the point! 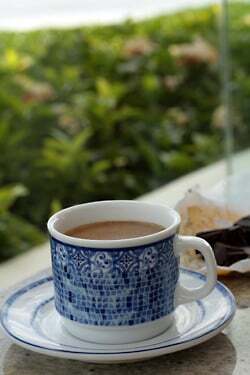 Growing up my merienda usually consisted of a ginger-infused hot chocolate drink made from the Philippine version of tablea (tableya, or tablea tsokolate), which I also used to dunk my pandesal made by the neighborhood panaderia. Some versions (which might be a regional thing) actually have ground peanuts in them, and I personally think that those are more delicious when eaten straight out of their packages. It’s a lot harder for me to get access to those Philippine-made tablea, but thankfully Abuelita tablea is everywhere now. If I’m not using it to make chocolate rice pudding (tsampurado), I make it the same way as you do, only instead of using unsweetened cocoa powder I add bittersweet chocolate chips. I also like my hot chocolate spicy, so I throw in an extra stick or two of cinnamon. The drink is noticeably a tad thicker, which makes it great for dipping croissant on a cold and rainy afternoon. Yum! These look delicious. definitely want to try using instant coffee in my recipes. 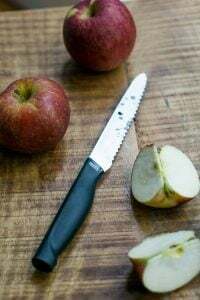 I’ve used it once in a rich chocolate cake and it really added depth the flavor. Thanks for the tip to put them in cookies. … a couple of scoops/segments of Abuelita in strong, black coffee. With some extra cinnamon, and chile–if it’s around. 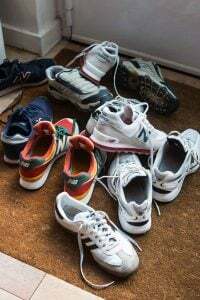 –get all the endorphins going at once!